When you need a gift for the at-home chef who is always cooking something delicious, you want to get them something unique and useful. Even people who don’t cook often tend to have a few favorite dishes that they enjoy making for friends and family. Whether you are buying a gift for the self-proclaimed chef or someone with a love for all things culinary, you should check out some of the following gift ideas for the wannabe chef in your life. If you are looking for a truly unique gift idea for the chef who seems to have everything, consider some rare and different items. Look into exotic herbs and spices or rare types of coffee. These can be paired with a spice rack, herb keeper or cold brew coffee maker to keep with a spice or coffee theme. Sometimes, odd-looking new kitchen gadgets can be the coolest and most popular gifts. When you get something special such as this, you are likely buying something that they don’t already have. From a speedy chopping device to a robotic jar opener, there are a number of cool and uncommon things that you can find on the As Seen on TV Store, which are sure to wow anyone. Check out some of the most useful kitchen tools that serve multiple purposes. From skillets that flip over for two-sided cooking to air fryers or pressure cookers, there are plenty of innovative kitchen appliances that can be used for limitless recipes. An added bonus, multi-purpose appliances mean saving money! Beeswax food wraps are a hot item that have the added bonus of being good for the environment. They are eco-friendlier than traditional plastic food wrap because they can be reused repeatedly for months, since you can hand-wash them. Sustainable bamboo cutting boards are another earth-friendly idea. Get a cookbook that you know they don’t already own by finding something specific and different. Seek out a cookbook filled with recipes from early America or provincial France. If you are lucky, you might even find an original, antique cookbook. Folks with special diets or allergies might appreciate a specialty cookbook geared to their needs. Many people who experiment in the kitchen love to learn about new do-it-yourself creative ideas. This idea involves you giving your chef friend or loved one all that they need to create their own culinary concoctions. Hot sauce kits, including various flavor and heat combinations, beer brewing kits, cupcake baking kits, meat rubs and more can spark imagination in the kitchen. While a high-quality stand mixer belongs in every fully equipped kitchen, there are a number of other ways to mix or combine ingredients for various recipes. One of the coolest is an immersion circulator that clips onto the side of your pot. There are superior quality blenders that can prompt healthy smoothie making, salsa creations, purees and more. Check to see what brand of stand mixer they already own, since there are a number of must-have attachments, such as a vegetable spiralizer, fruit corer, slicer and peeler. A seasoned cook might like something very specific. Consider getting them a paella burner, fish bone tweezers, mortar and pestle, a kitchen scale or canning supplies. Find out what they like by asking what new kitchen items they plan to buy next. Very often, chefs of all skill levels could use a new cookware set. Cooks who have been in the kitchen for years often have well-loved but worn pots and pans that they might not even realize need replacing. Newbie chefs are often developing their cooking skills on used or mismatched pieces. This is why anyone who loves cooking could use an upgraded cookware set from time to time. 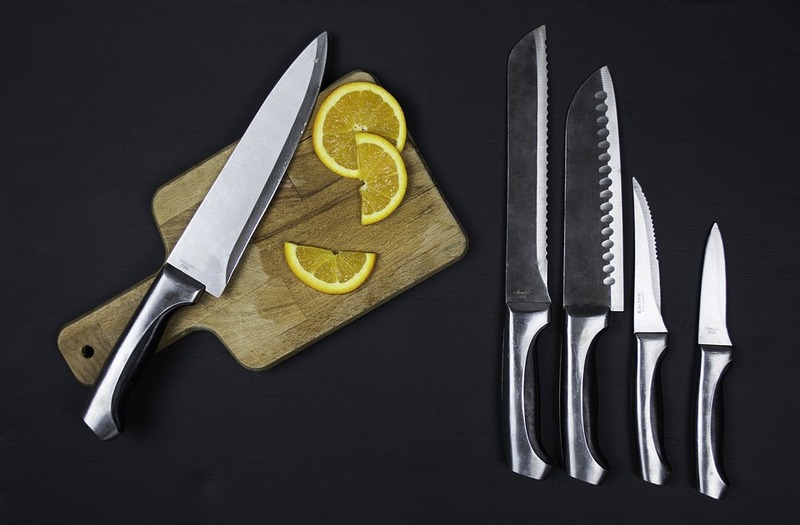 Sharp knives in the kitchen are essential for getting the job done right and in a timely manner. A cook who uses dull knives will often struggle with getting precise cuts and have difficulty chopping. This will cost them time and cause frustration in the kitchen, so they will love having a shiny new replacement knife set. Trivets, spoon rests, hot pads, kitchen towels, floor mats and more will wear out over time and need replacing, or might be missing from a new and growing kitchen. In either case, these items are typically well received and put to good use in just about any kitchen. Simply choose a color that goes with their current kitchen scheme or go with neutral-colored items. These are just a few ideas that you might consider when looking for a gift for someone fond of the kitchen. Whether they are still honing their skills or have spent years perfecting their culinary talents, you should be able to find some useful and unique gifts that they will appreciate.